The Cantabile Champagne Gold 8800RBEP model is a limited edition of one of Pearl's finest instruments. The unique 22K gold plating not only looks beautiful, but has strong projection and adds warmth to the tone and feel of this instrument. 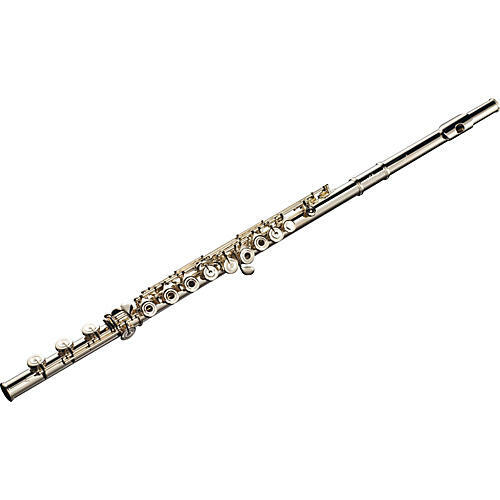 Like the standard Cantabile, it makes use of traditional handmade features such as complete .925 sterling silver, French pointed arms, and drawn tone holes. The Sterling silver keys are exceptionally nimble and swift when coupled with Pearl's pinless mechanism and one-piece core-bar. The special Champagne Gold Cantabile is rare opportunity for flautists seeking to upgrade to an exceptional handmade instrument.